The Dundee Creative Arts Centre is a place to explore culture, art, and get hands on with your own creativity. The DCA hold many free and paid for workshops for you to enjoy and learn new skills. 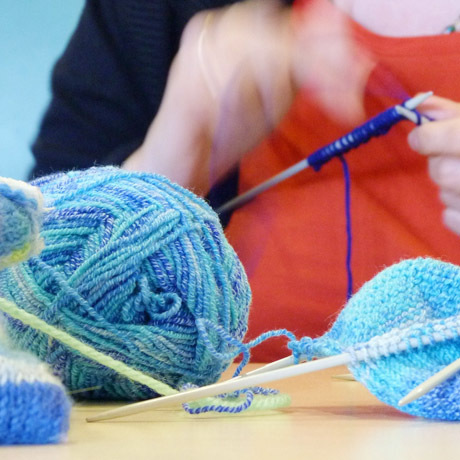 If you like knitting or want to learn, Knitting Without Borders is a great group to join, where you will be able to enjoy your hobby and socialise with others in the community. If you are new to knitting, then you will learn the skills to make anything from scarves to sweaters. And for the more advance, it is a chance to challenge yourself with contemporary approaches to both knitting and other crafts. There's no need to book, just show up; it is completely free and you will be provided with the tools you need. In this free workshop taught by Malcolm Thomson, you will be able to share your photography with others, get advice, and discuss your portfolio with others. To book call 01382 909 900. There are also several course that you can attend, such as Etching for Beginners, Intimidate Screen Printing, and an Introduction to Adobe Photoshop, all of which are valuable skills for anyone who works for or is interested in a career in art & design. For full details see their website.